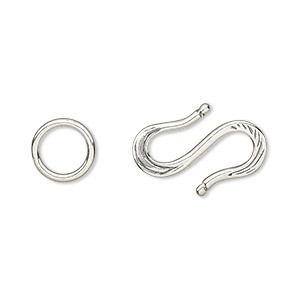 Clasp, S-hook, antiqued sterling silver, 25x9mm with spiral scroll design and 2 rings. Sold individually. 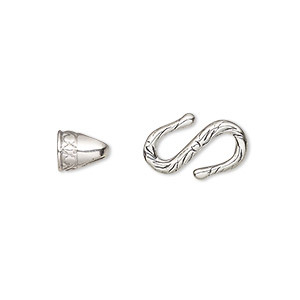 Sterling silver is a design classic that adds beauty and value to creative jewelry. 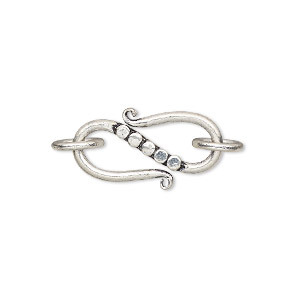 This antiqued sterling silver S-hook clasp features handcrafted detail that will enhance designs and elevate customer appeal. 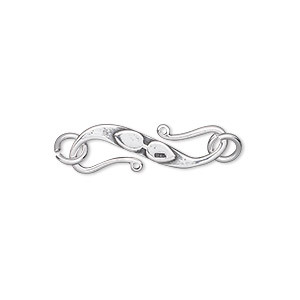 Handmade in .925 sterling silver. Sizes, shapes and colors may vary with handcrafted items. Clasp, S-hook, antiqued sterling silver, 19x9mm with scroll and rope design with 2 jumprings. Sold individually. Clasp, S-hook, antiqued sterling silver, 20x13mm with flat dots and 2 jumprings. Sold individually. 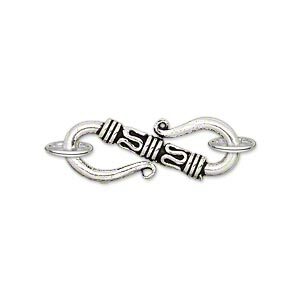 Clasp, S-hook, antiqued sterling silver, 22x8mm with scroll and line design with 2 jumprings. Sold individually. 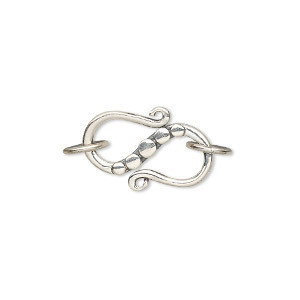 Clasp, S-hook, antiqued sterling silver, 23x11mm with dots and 2 jumprings. Sold individually. Clasp, S-hook, antiqued sterling silver, 24x10mm with rope and line design and 2 jumprings. Sold individually. 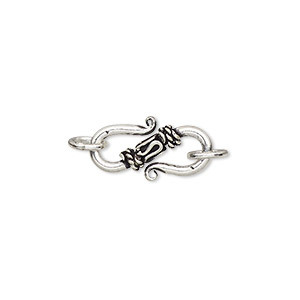 Clasp, S-hook, antiqued sterling silver, 33x14mm with beaded flower design and 2 jumprings. Sold individually. 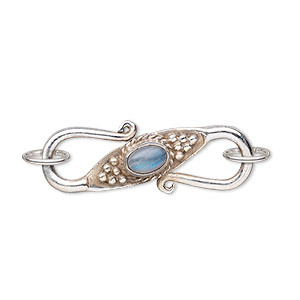 Clasp, S-hook, antiqued sterling silver and rainbow moonstone (natural), oval cabochon, 30x11mm. Sold individually.